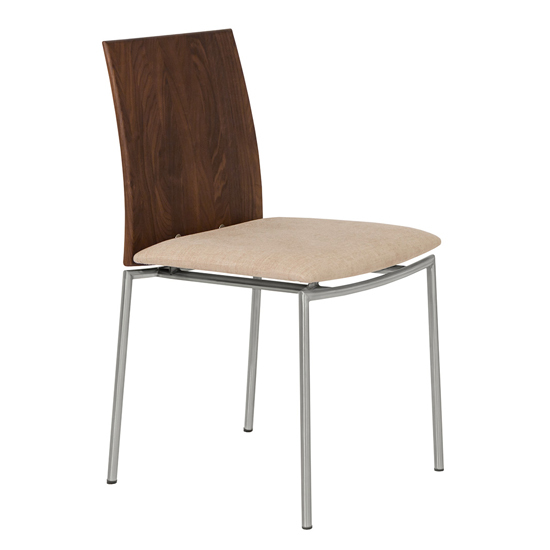 The phrase "less is more" applies perfectly to the Dion dining chairan elegant, minimalist piece created for Skovby furniture. Handmade in Denmark from solid walnut and brushed stainless steel with a fine leather seat, this chair is at the forefront of the New Nordic design wave. 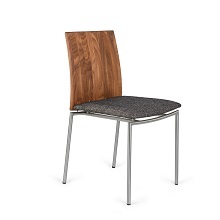 By carrying the Dion dining chair, Copenhagen salutes Skovby for producing cutting-edge design of the highest quality. 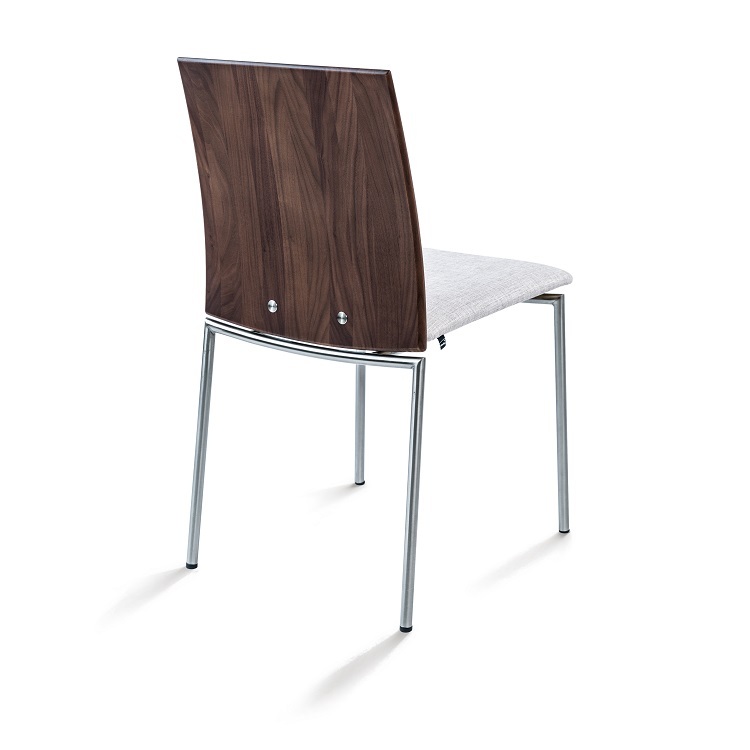 Size: L 20"W 18"H 33"
Available in a variety of fabric and leather seat options, as well as with a series of wood and metal back and frame finishes. Only 20 items are available at this time.